Pastels are a versatile media and recently I’ve been exploring different ways of working with both my dog portraits and Dorset seascapes. I have always enjoyed pastels for pet portraits, they have a natural quality that suits animal fur. I use the best quality materials and Jacksons Art Supplies have a great range of pastel cards and pastel pencils, which are my preferred media for getting detail into my work. This is one of my recent spaniel portraits, the customer requested a background and, I hope you’ll agree, the end result is successful. I love working on Spaniel pastel portraits, they have beautiful eyes and I enjoy capturing the essence of their character within the final portrait. This one will be new addition to my online card shop. I’ve recently been working on a commission of a Headmaster to be part of a permanent display in a school in Sussex. It’s not been presented yet so only a snippet for now. 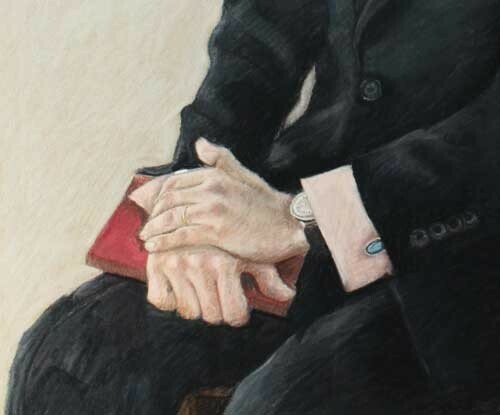 I love the way that hands capture as much of a persons personality as the rest of the portrait. Portraits of people are a lovely gift and especially portraits of people and their beloved pets. My pastel classes and workshops start again on the 18th June, we look at a range of subjects but dog portraits are a favourite subject. It’s great learning the skills so that you can create your own pet portraits. 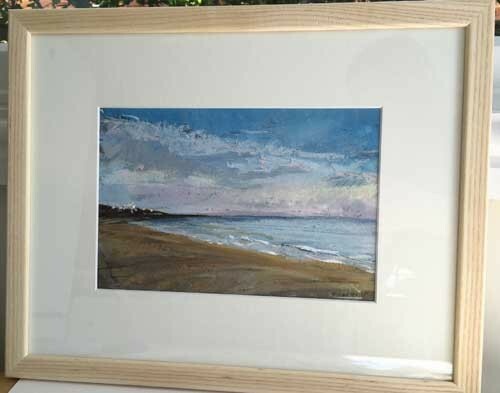 We have also been working on Dorset Seascapes, here’s an example of what can be achieved with mixed media and pastels. It’s a fun and quick way of working and you are able to get good results quickly with a few tips and tricks. 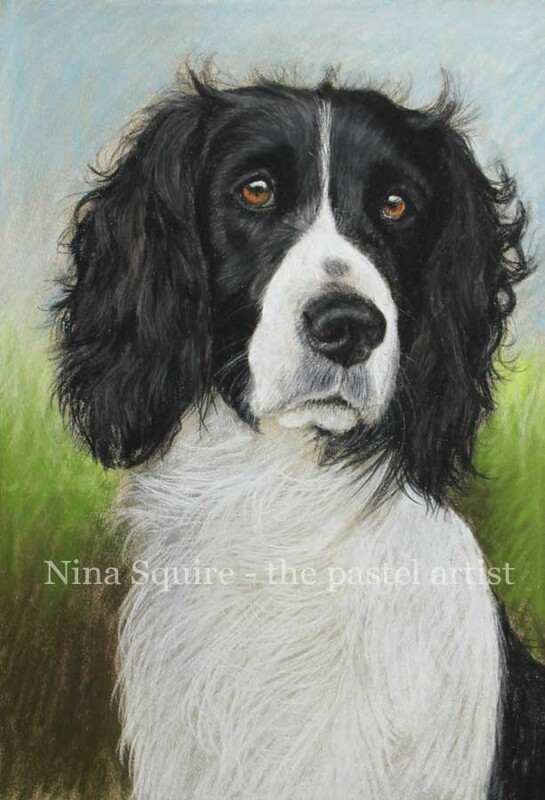 This entry was posted in pastel portraits dorset nina squire dog, pastel portraits nina squire pastel workshops dorset, portraits nina squire commissions, Uncategorized on June 5, 2015 by thepaste. I’ve always admired Etsy’s beautiful website and the collection of artists and craft makers. 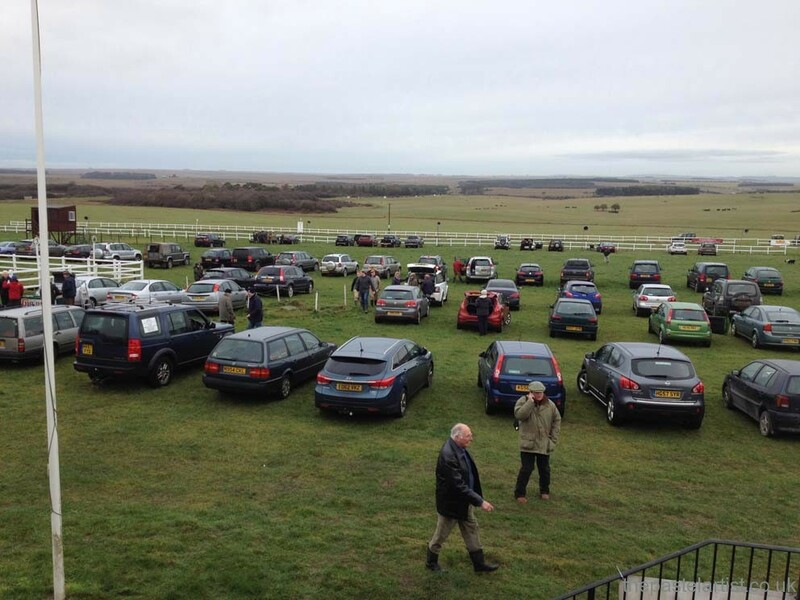 Its the perfect platform for my updated card listing, for a limited time the cards are discounted to £1.99. I hope you’ll enjoy visiting the display, let me know how you find it. You will need to create an account with Etsy but this helps with payment security which is why I have favoured it. This entry was posted in pastel portraits nina squire pastel workshops dorset, portraits nina squire commissions, Uncategorized and tagged Etsy, Nina Squire on March 3, 2015 by thepaste. Just a few from last year. This entry was posted in portraits nina squire commissions on February 16, 2011 by thepaste.